Allergies and travel schedules have made it difficult for our family to have a pet, but that may be for the best. A few years ago, my youngest son brought home the classroom goldfish for the ten day Christmas Break. Merlin (we quickly renamed our guest) arrived looking a bit dull and tired in a plastic bag filled with water. Horrified, we ran out to the pet store and purchased several items the owner assured us were essential for goldfish health and happiness. By the end of Merlin’s ten day visit to our home, he was living in a fish tank with a filter, a plant, sparkly turquoise bottom filler and a replica of the Taj Mahal with its own stereo system. I tell this story to illustrate how I completely understand pet inspired devotion. That’s why it’s disturbing to imagine that a pet can be at serious risk during a disaster or harmed by ordinary household items. 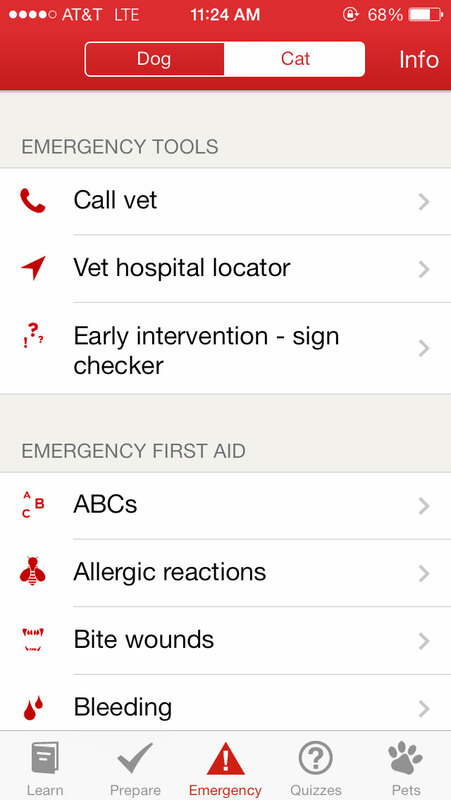 The Red Cross has created an essential app to help families manage risk and harm to their pets. First, there are many household dangers to pets. We all know it’s bad when our dog eats our baby brother’s shoe, but what about the house plant in the corner. 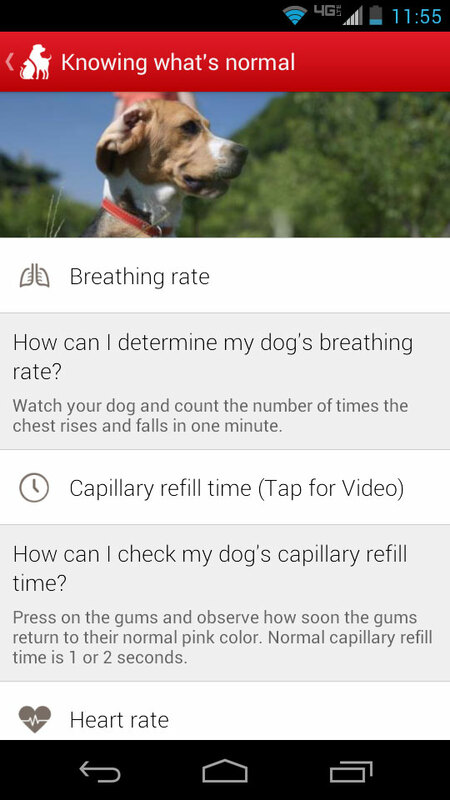 The app helps homeowners identify and manage these risks for dogs and cats. It also lets pet owners know what to do if their pets lick or eat something that’s toxic. Pet owners whose families have suffered a disaster can use the app to find a place to go after a fire or flood by locating nearby pet friendly hotels. Often, concern about what to do with their pets prevents people from evacuating. This app helps alleviate those concerns. Jen Leary, founder of the local pet disaster rescue organization Red Paw Emergency Relief, downloaded the app and says the pet friendly hotel and vet locator portion of the Red Cross app is a “game changer” for her volunteers in the field. She had already used it within minutes of downloading to assist more than one family affected by disaster. But if you have a pet, you definitely need to consider downloading it. The 99 cents seems like a small price to pay for an app that has so many great, potentially lifesaving features. Plus the 99 cents goes to support all Red Cross services, including disaster relief. To do that, click here or search Red Cross on iTunes or Google Play. And help ensure you’re prepared to care for you pets like any other member of your family. I’m not sure what the app could have done for Merlin, but it seems obvious that if you are the proud family member of a dog or cat, this is information you need to have. It may save the life of a dear friend. Capture a waving Red Cross flag in a photo between March 1 and March 6? Post it to Twitter or Facebook to enter a drawing for tickets to the Red Ball! March is designated as the month to recognize the achievements of the Red Cross locally, nationally and internationally. In the Philadelphia area, we celebrate by flying the telltale red and white flags around Center City, and City Hall. The effect is striking in several ways: the stark red and white of the flags looks striking against the brisk blue sky of early March, they add to the grandeur of Liberty Square, and they remind one and all of the essential role of the Red Cross in our community. City Hall is not the only place flying flags. 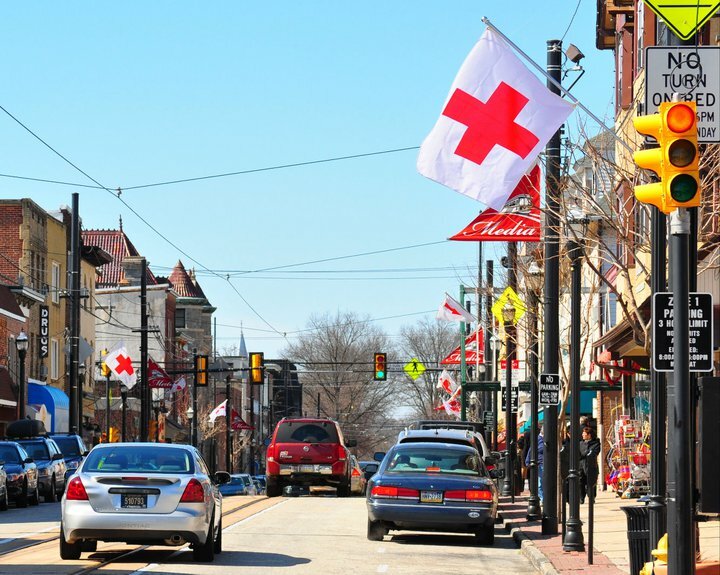 Starting Saturday, March 1st, there will be dozens of Red Cross flags flying in downtown Media and West Chester, as well. For the week leading up to our 14th annual Red Ball – the Red Cross’s grand celebration party at the Please Touch Museum on March 8 – we invite our social media community to play a modified game of Capture the Flag. 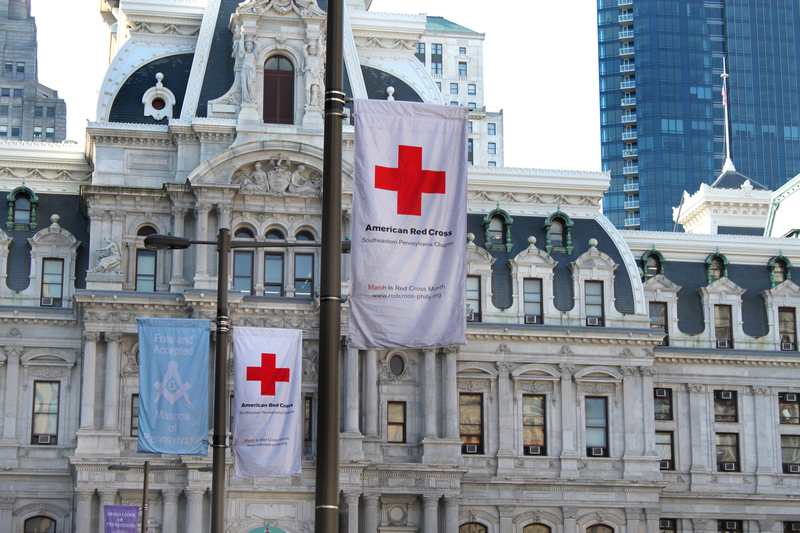 If you see a Red Cross flag in your community, take a photo and post it with the location to Twitter or to our Facebook page and mention us (@redcrossphilly) and use hashtag #redcrossflag. Feel free to be creative and by all means, feel free to make them selfies. We’ll RT as many as we can. We will enter you in a drawing for two Main Event Red Ball Tickets on March 6 for each photo you send. (Maximum of five entries.) We will select one suburban photo and one Philadelphia photo winner. They will be announced on our Twitter and Facebook feeds and the tickets will be available for pick up at the Red Ball. For details on the Red Ball, visit theredball.org. 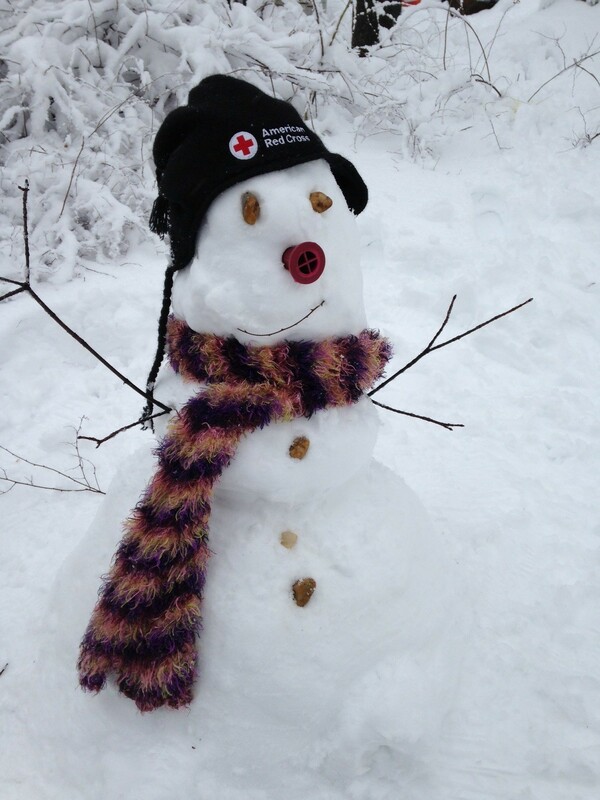 While you’re snapping those photos, enjoy some of the other ways the Red Cross is celebrating. Look out for lights as well! Even coffee clutches are getting in on the action! 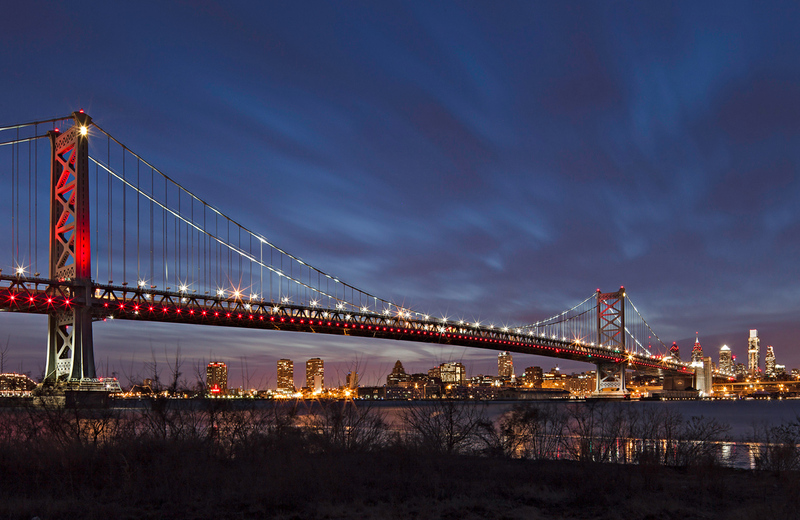 The beautiful Ben Franklin Bridge will be dressed in red starting March 1st. The red lights can also be seen at One Liberty Place, Hyatt Penn’s Landing, the Cira Center and on the PECO Crown Lights. Wawa coffee will sport the red and white and we all know the coffee at Wawa is HOT! Protect yourself with the help of the Red Cross. Enjoy! A tree knocks down power lines in Chester County, February 5th, 2014. After any major disaster and the recent ice storm is no different, one of the most common questions I get is “How much did the disaster cost?” It’s a natural and fair question to ask. After all, the American Red Cross accepts only financial donations and people want to know where their donations are going. 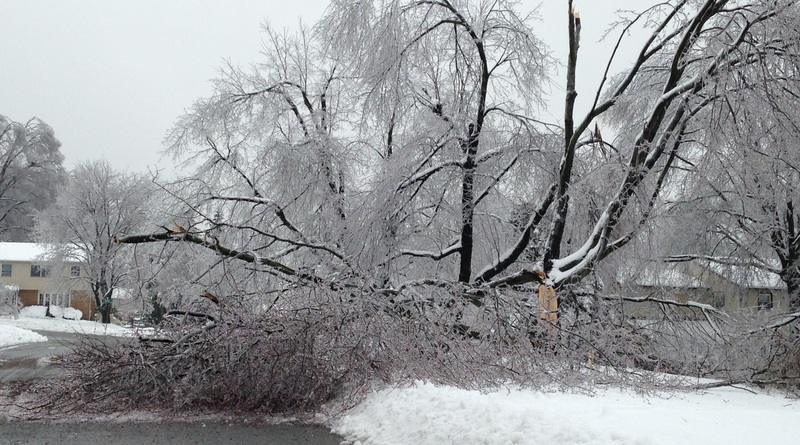 In the case of the recent ice storm to hit Southeastern Pennsylvania, calculating the true cost is complicated, if not impossible. You see, most of the expenses the Red Cross is incurring during the ice storm response were incurred during the course of the last year. The Red Cross must be prepared to act immediately whenever there’s a disaster. The Red Cross does not have the luxury of waiting until donations roll-in to respond. The Red Cross spends a lot of time going into the community and sharing safety and preparedness advice vital to reducing recovery time after a disaster, which ultimately reduces costs for everyone. But how do you calculate that? The work of the Red Cross goes on year round. Costs are incurred year round, not just when we open a shelter or pay for food. The Red Cross is able to respond to disasters so efficiently and effectively because it puts a lot of its resources into making sure we are all ready when disaster strikes. So what’s my point? The point is, the Red Cross relies on donations from the public year round, not just during and after disasters. The Red Cross isn’t funded by the government or your tax dollars. The generosity of individuals, corporations, civic groups, and foundations are solely what make it possible for the Red Cross to do what it does. 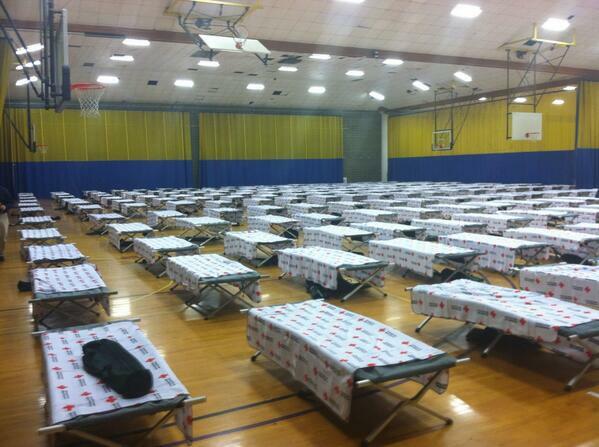 Wednesday, February 5th, nearly 400 cots were set up at West Chester University to help an expected influx of people who lost power. Without donations, the Red Cross can’t be ready with 1,500 cots and blankets when an ice storm hits and 700,000 people don’t have power and may need a warm place to go. Without donations, the Red Cross can’t provide fire victims money for immediate needs like food, clothing, and shelter. Without donations the Red Cross can’t train volunteers who provide the compassion and experience shelter residents need after a disaster. In short, donations make it so when the Red Cross gets the call for help, the Red Cross is able to answer. To learn more or make a donation, please visit redcross.org. 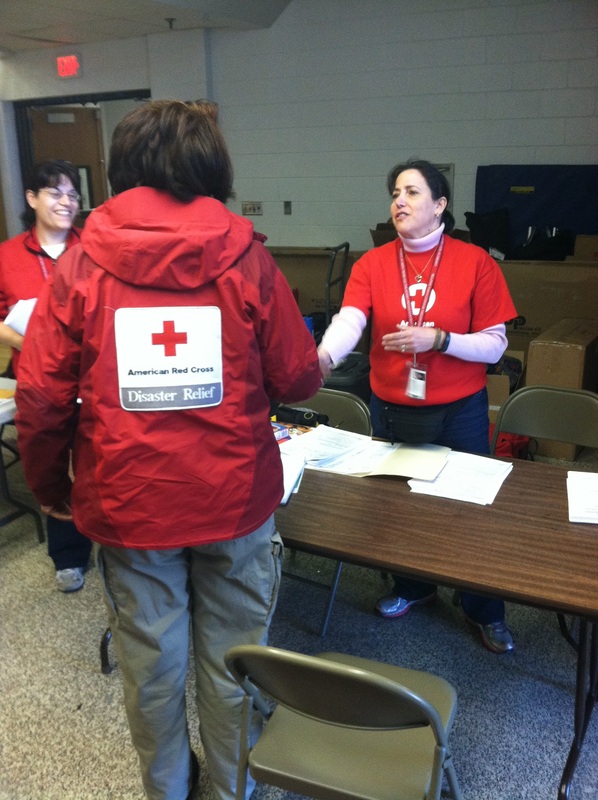 As of 2/11 at 12pm all Red Cross shelters in Southeastern Pennsylvania in response to the ice storm have closed. Supplies and resources remain in place throughout the region and volunteers are on stand-by to respond if needed following the next storm. 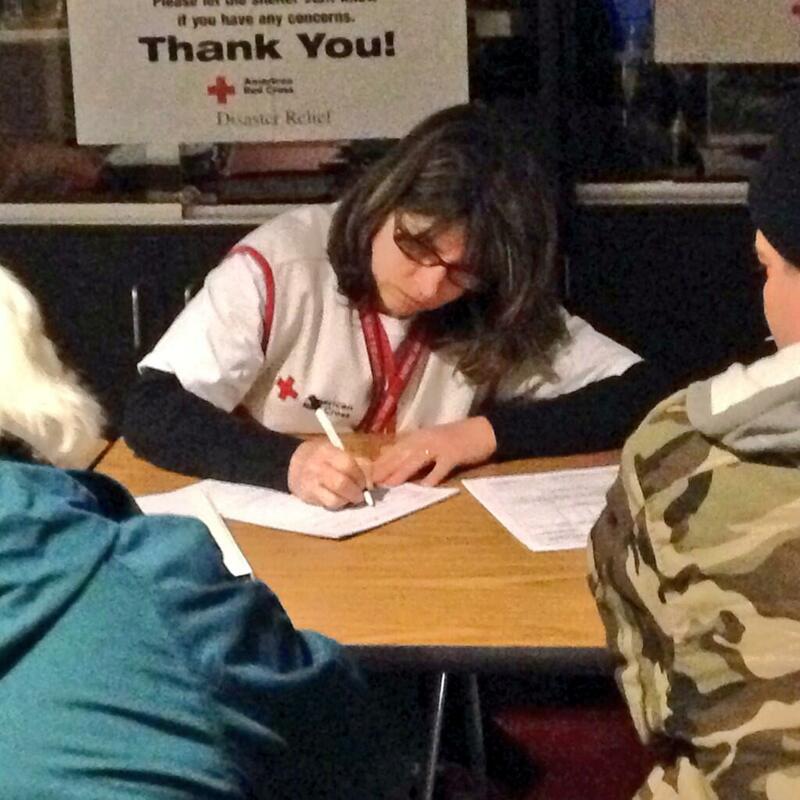 Follow @redcrossphilly@dcschrader@telesara for immediate updates for all Red Cross activities in Southeastern PA. Always an option: If people don’t wish to go to a Red Cross shelter and prefer a hotel and they have pets, we encourage them to download the American Red Cross Pet First Aid app. It includes a feature that will locate the nearest pet friendly hotels to them. They can find it at redcross.org/mobileapps or by searching Red Cross on the iPhone App and Google Play stores. As power is restored, please take a moment to read these tips, or print this handy sheet to make sure you know what food is safe and more about how to safely get back to normal following a power outage. CLICK HERE to learn more about what you will find at a Red Cross Shelter. CLICK HERE for VIDEO about the Red Cross response as of 5PM 2/5.